Residents living just metres from the charred shell of Grenfell Tower are still suffering from a range of physical ailments as fears grow about poor air quality in the wake of the devastating fire more than seven weeks ago. Bramley House sits about 100 metres from the burnt-out 24 storey high-rise. One resident says she has suffered two small strokes since the blaze and is concerned about the impact the fire might have on her long-term health. "I've never had a stroke in my life and following the fire I had two strokes," Vassiliki Stavrou-Loraine, who has lived at Bramley House for 34 years, tells HuffPost UK. The 65-year-old, whose first floor flat faces the tower, says that residents' physical health has gone "ignored". In the hours and days after the fire, debris from the destroyed tower fell into the courtyard of Bramley House. The children's play area, which has since been cleared, was littered with rubble, but you can still see darkened patches on the grass where debris lay in the immediate aftermath of the blaze. Walk around the outside of the building and you can still see some discolouration of people's windows and blinds. With no double-glazing, Stavrou-Loraine says the dust has entered her home. She says she has had to clean her extractor fan, which was full of dust and dirt after the fire, as well as her windows. "If there is wind blowing and we spend a few hours outside our building, we begin to feel something, in our throat, in our mouth, in our eyes," she says. At a public meeting last month a resident of nearby Verity Close said that people living on his street have become the "silent victims of the fire". Introducing himself as Stephen, the resident told the Grenfell Response Team panel: "I've had enough. Public Health England, I really don't believe your statistics. "Because every day I use my asthma pump more and more. When I look at my window ledge, it is black with dust from Grenfell Tower. "I am 70 yards away from the tower. I do not believe your statistics. My chest is wheezing and I have been woken up in the night by disturbances." Bramley House resident Stavrou-Loraine says: "People have been affected in a number of different ways. Children who have severe asthma problems have been affected. "Some people became drowsy, some people have suffered from breathlessness, stabbing pains in the stomach and nausea. Everybody in one way or another has been affected." 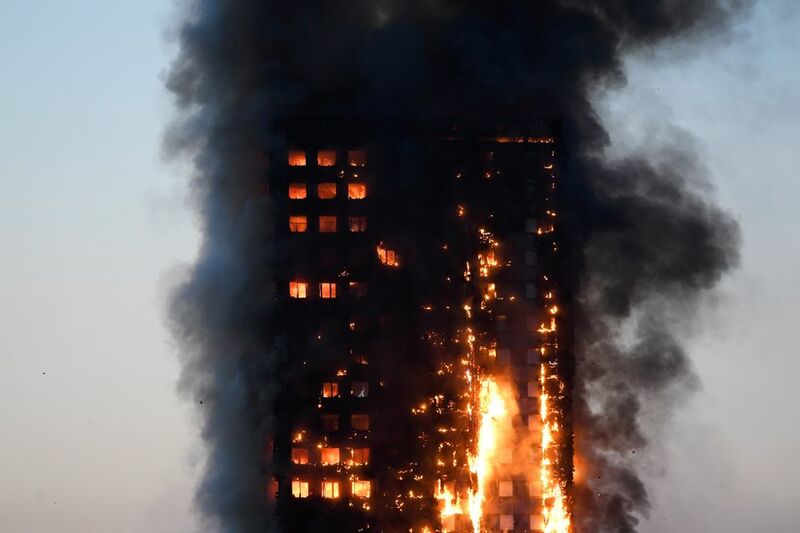 At least 80 people died in the blaze, with police announcing last week that there are reasonable grounds to suspect Kensington and Chelsea Council and the Tenant Management Organisation (TMO) of having committed corporate manslaughter. Public Health England (PHE) has sought to reassure residents that the air quality is safe, but recommended that those who are experiencing symptoms like breathing problems, asthma, and headaches as a result of the fire to visit their GP. Dr Deborah Turbitt, PHE's London director for health protection, said: "All smoke is toxic and chemicals produced when the fire was burning, such as carbon monoxide and hydrogen cyanide, will not be present now. "People who were exposed to smoke from the fire may have experienced irritation to their air passages, skin and eyes, which can cause coughing and wheezing, breathlessness and chest pain. "People who were not directly impacted by the fire or suffered significant smoke inhalation and are generally fit and well are unlikely to experience long-term health problems from temporary indirect exposure to smoke from a fire." Ann Hannah Johnston moved into Bramley House just four days before the fire. 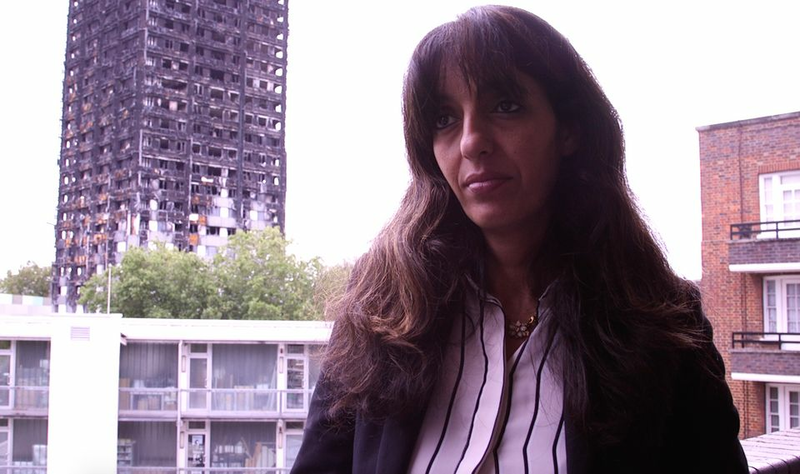 The mother-of-four's third floor flat faces Grenfell Tower. Johnston, 50, says that both she and her seven-year-old daughter have been suffering from headaches and respiratory problems. "Since the fire myself and my daughter both of us have constant headaches, constant breathing problems we've have heavy coughing," Johnston says. "It's only since the fire has happened that all my family have suffered from headaches, breathing problems and vomiting." Johnston, who works as a cleaner and is a community ambassador, says she is worried about the long-term health implications for her and her daughter. "At the moment we are still walking around and still breathing and maybe three months down the line or six months down the line this [will] affect our lungs or our health, nobody knows," the concerned mother says. 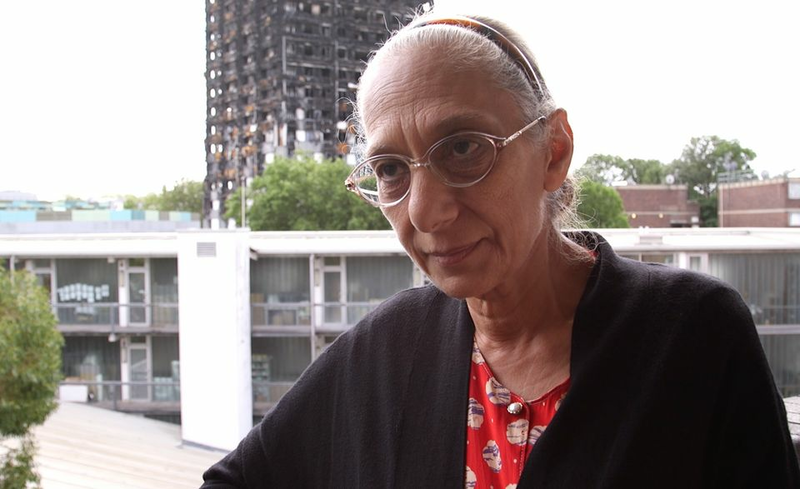 Samia Badani, chair of Bramley House Residents' Association, says locals have very little faith in PHE's assurances that the quality of the air is safe. "The fire impacted on the physical and mental health of all residents here in Bramley House. "We were minutes from the tower, we were in the evacuation zone, but we were not evacuated so we had to witness all this. "The wind was blowing in our direction so the smoke came through into our very homes; we had the flying debris coming to us. "People have reported headaches, they're coughing, having chest problems, feeling dissy, people are having stomach cramps so it has been quite bad for people here at Bramley House. "I think the difficulty we have is that it isn't recognised that there's an impact on our physical health and I can appreciate that Public Health England has done all their tests and they seem to be okay but that is not our experience." She adds: "We know the facts; the facts are how we feel day in and day out. This is not a figment of our imagination." PHE said they have been assessing the quality of the area surrounding Grenfell since the start of the fire, with tests showing there are "low levels of air pollution around the site". PHE added that no asbestos has been detected. 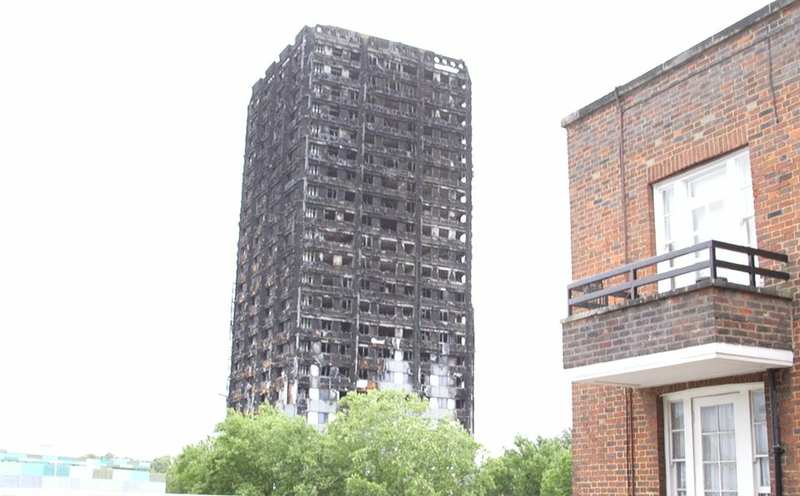 Dr Turbitt said: "We commissioned additional air quality monitoring close to Grenfell Tower when access to the area around the tower became available and cordons were removed. "The additional air quality monitoring was put in place as people returned to their homes to inform the local community and give assurance about air quality in the immediate vicinity of Grenfell Tower. "We are continuing to commission monitoring for pollutants that have both short and long-term effects to be sure that we understand if there is a risk to public health as a result of the fire and we will keep local people updated with all results." Yet Badani says Bramley House residents have been "forgotten" about when it comes to both physical and mental health. Last month experts revealed their concerns that residents' mental health could be poorly impacted the longer they go without the support they need. Badani adds: "[Bramley House residents] wake up in the morning, they open their door or they look through the window and what they see in front of their eyes is the black tower. "People have been affected both physically and psychologically." From Bramley House, you can see forensic teams making their way through Grenfell Tower. The sight of inspectors wearing overalls and face masks doesn't help to quell residents' concerns that the air is safe. "At times we see people who go into work (in the tower block)... and we always see them wearing masks and hazmat uniforms to protect themselves from dangerous, poisonous materials in the building," Stavrou-Loraine says. "This is not encouraging to us. Every time they speak about the air quality they say it is clean and that we don't have to worry. "They try to put our mind at peace but we know what we feel." Dr Turbitt from PHE said it is not recommended for members of the public to wear face masks as a means of reducing exposure to air pollution "as it is not clear that they would be effective". Dr Turbitt adds: "Masks can be uncomfortable to use and can worsen symptoms in people with heart and lung conditions as they may find it harder to breathe. "Recovery workers who are inside the building and sifting through debris are working under very specific circumstances that require wearing personal protective equipment for occupational health purposes."